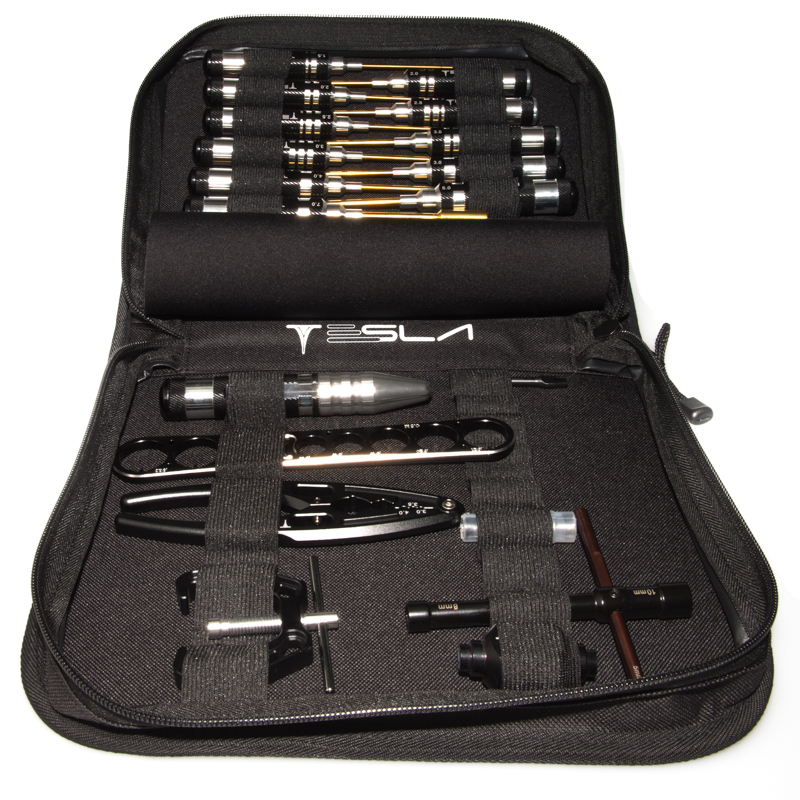 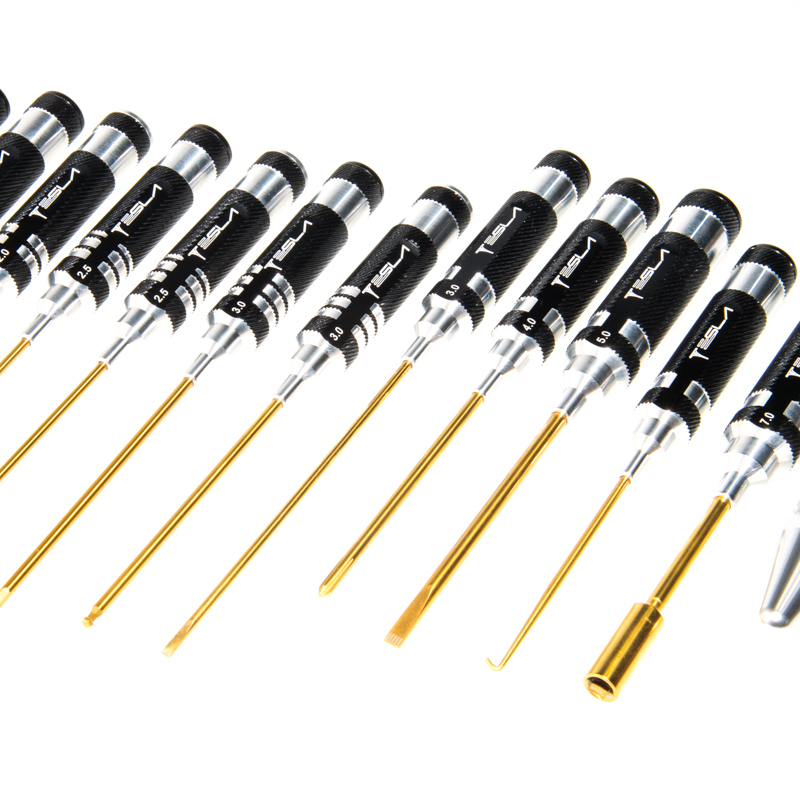 Tesla screw drivers are a full range of tools, they are made using a black anodised and ergonomically-shaped aluminium handle while the tool tips are machined from titanium-nitride coated spring steel. 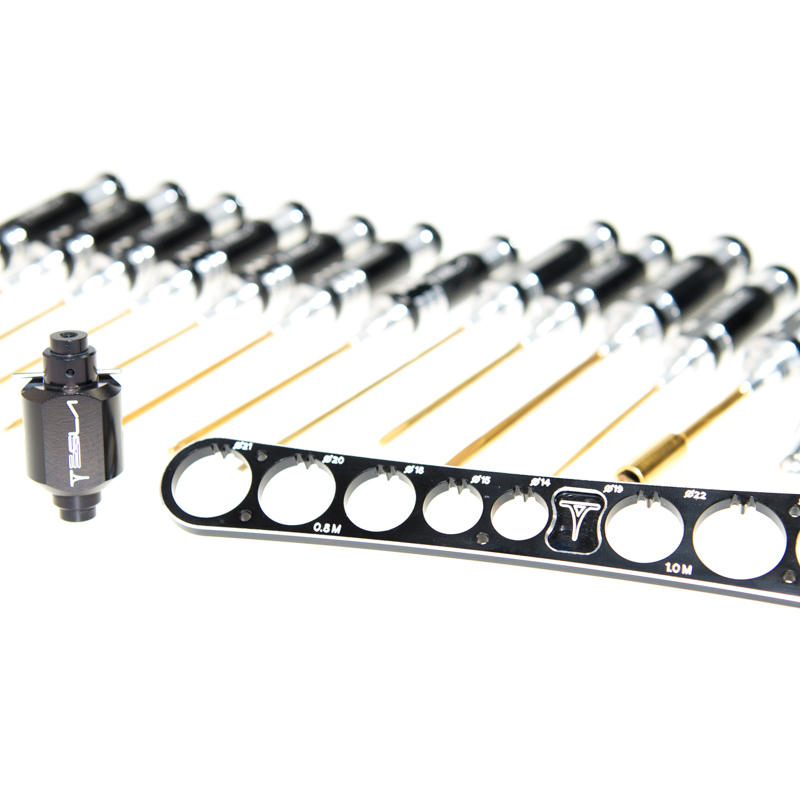 Available are 1.5mm to 3.0mm hex head wrenches, 2.0mm to 5.0mm ball hex wrenches as well as 3.0mm and 5.0mm flat head and a 4.0mm Philips screw drivers. 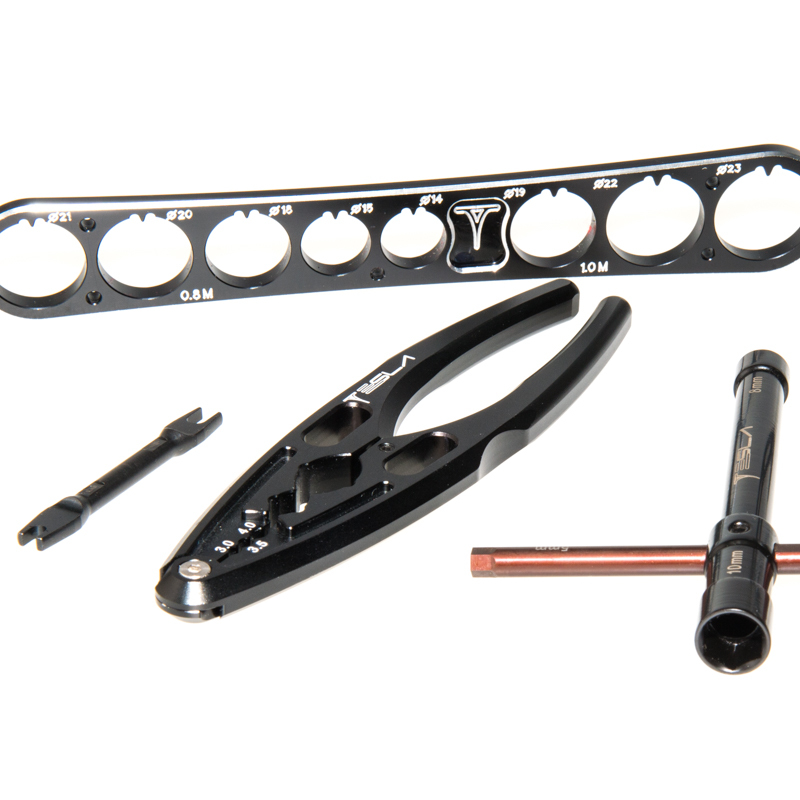 Other tools of the range include an exhaust spring, E-clips and flywheel remover as well as a body reamer. 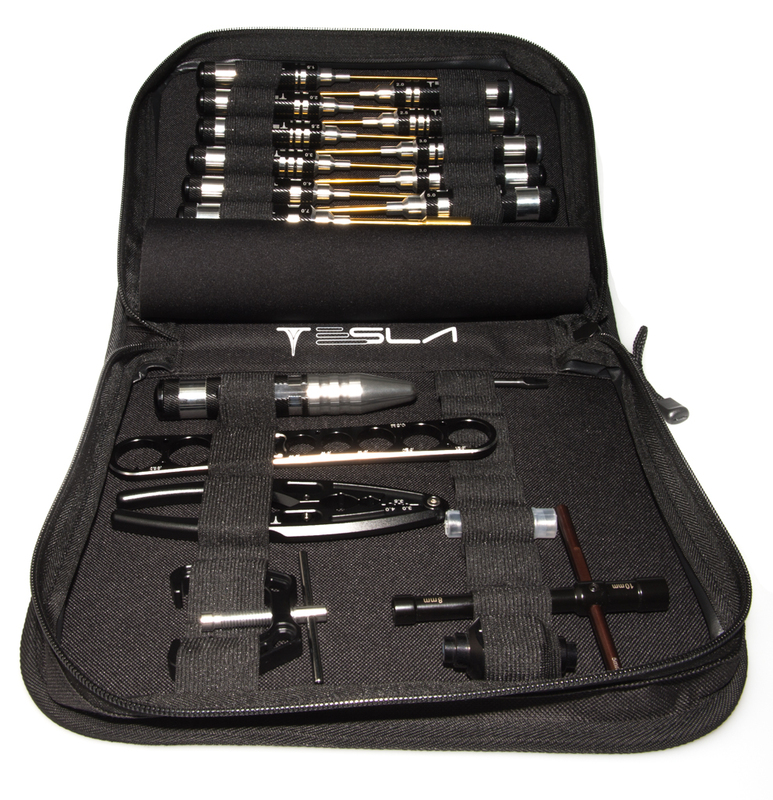 The tools are available separately or as a complete set including a black storage bag.  Click on “features” to view all available range.